The beauty of the Alabama coast is seen clearly in Orange Beach, Alabama. From the crystal waters to the colorful birds in the sky, Orange Beach is a nature-lovers dream! Known as a hot destination for hikers, bikers, and bird watchers, discover some of the best places to go to encounter the nature of Orange Beach, AL. Find Orange Beach, Alabama things to do online at Things To Do in Orange Beach! A favorite spot for both Orange Beach visitors and locals, the Orange Beach Islands include Bird, Robinson, Gilchrist, and Walker Island. With some of the Gulf Coast's rarest plants, marine life, and bird species, the Orange Beach Islands offer a treasure-trove of sightseeing experiences. Located in the Perdido Pass and accessible only by watercraft, many visitors take the opportunity to enjoy the pristine beaches of Robinson and Bird Island after a long day of bird-watching! Whatever your pleasure, a trip to the Orange Beach Islands is sure to provide memorable encounters with Alabama's nature! 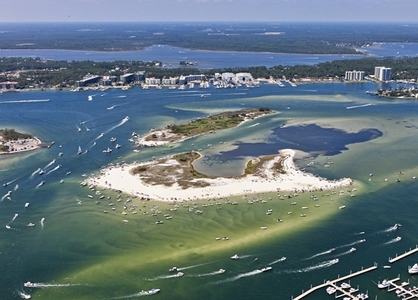 Learn more about the islands including rules, directions, tours, and rentals online at OrangeBeachIslands.com! Explore the Islands of the Perdido Pass and beyond with Orange Beach Jet Ski Rentals! Spanning more than 15 miles through Orange Beach, Gulf Shores, and the Gulf State Park, the Hugh S. Branyon Back Country Trails are made up of seven trails and six unique ecosystems. From the historic roads of Catman Trail, to the rampant wildlife of Rattlesnake Ridge, all seven trails bring about a memorable experience! Throughout the park find several exciting attractions and activities including Eco Tours, Geocaching Treasure Hunt, and a Butterfly Garden. Hugh S. Branyon Back Country Trails are one of the top destinations for outdoor fun! With 2,448 feet of fishing space, Gulf State Park Pier is the second longest pier on the Gulf of Mexico! Year round on-site dining from "Butts on the Beach" makes for a great meal anytime, but fishing isn't the only thing to do on the Gulf State Park Pier! Keep an eye out for a multitude of sea critters, and multiple sea-bird species including the White Pelican, Brown Pelican, and the majestic Blue Heron! There is a $3 fee to walk the pier, but a few bucks is easily worth an afternoon of exciting views. Take a scenic cruise of Orange Beach on a scenic sightseeing dolphin cruise. Choose from several tour providers online at Orange Beach Dolphin Cruise! A true homage to Alabama's natural landscapes and wildlife, Bon Secour National Wildlife Refuge features multiple trails with spectacular views. The time of the year dictates which wildlife will be seen, but four trails with over six miles of space will turn up some of Alabama's most amazing creatures! Alligators, sea turtles, bobcats, red foxes, snowy plovers (sea birds), and several endangered species find refuge among Bon Secour's many trails. Habitats encompass Alabama's last remaining coastal barrier habitat, beach dunes, and rolling pine-oak woodlands. Open year-round during daylight hours, Bon Secour National Wildlife Refuge offers a nature-fueled family-friendly adventure! Over 500 exotic animals fill the 30 acres of the Alabama Gulf Coast Zoo. The world's most incredible animals including lions, primates, wolves, and bears are waiting to say hello! Open year round, the Alabama Gulf Coast Zoo keeps things fresh with seasonal animal encounters, daily shows, and keeper talks. 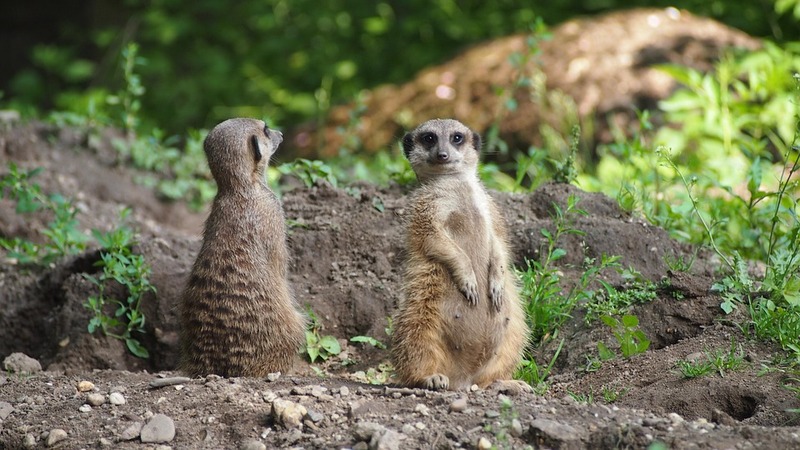 Rates for the zoo start at $8 for children admission, with $1 off admission with military ID. The zoo is located at 1204 Gulf Shores Pkwy, Gulf Shores, AL, 36542.